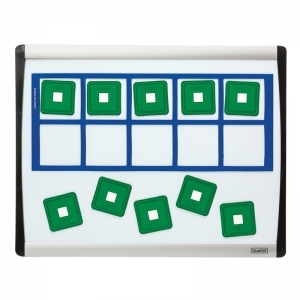 Unifix 100 Number Grid & Tray for addition, subtraction, multiplication, division, and many other classroom activities, such as pattern recognition, and symmetrical/asymmetrical designs! 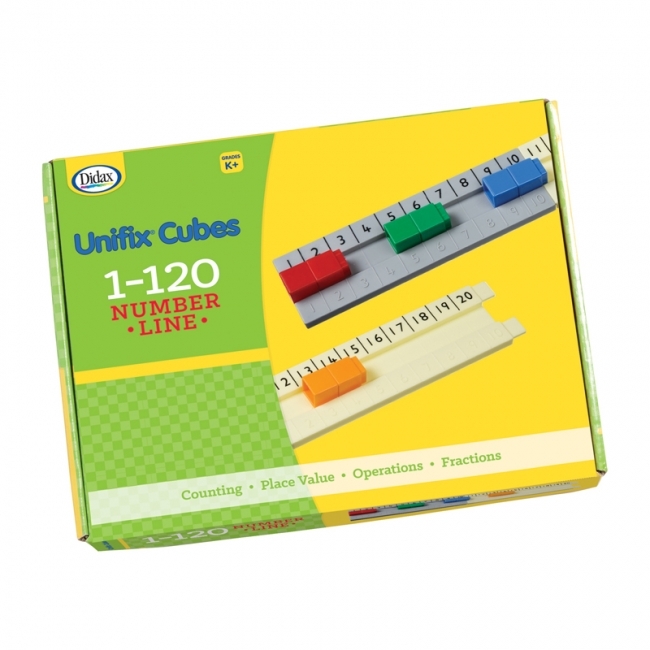 Fits 100 Unifix Cubes (sold separately). These classroom-tested dice games provide ample opportunities for your students to develop fluency with basic subtraction facts without tedious paper-and-pencil drill. 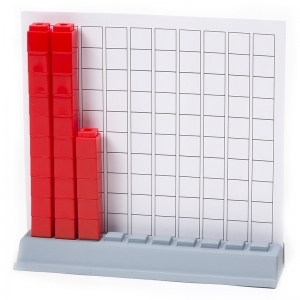 Teachers know, and research confirms, that subtraction is a more difficult operation for young children to master than addition or multiplication. Students will meet the challenges of subtraction with a sense of curiosity and confidence as they play hands-on dice games such as Bingo, Hidden Number, and Tic-Tac-Toe. 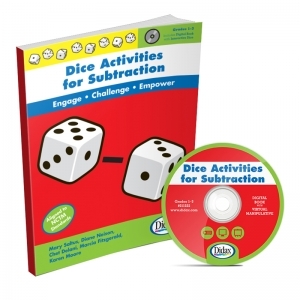 Aligned to NCTM standards, Dice Activities for Subtraction activities develop the concepts of minus (take away) and difference (comparison). 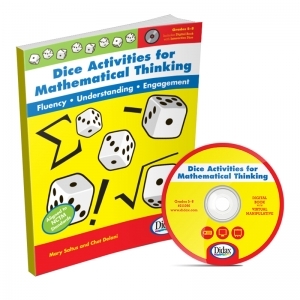 The book features a variety of games that can be differentiated based upon your student's abilities. 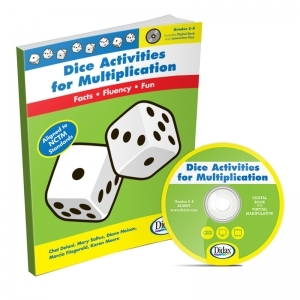 An ideal companion to our other Dice Activities titles by the same authors. Over 7' long, this track consists of twelve interlocking sections, each numbered in increments of 10. 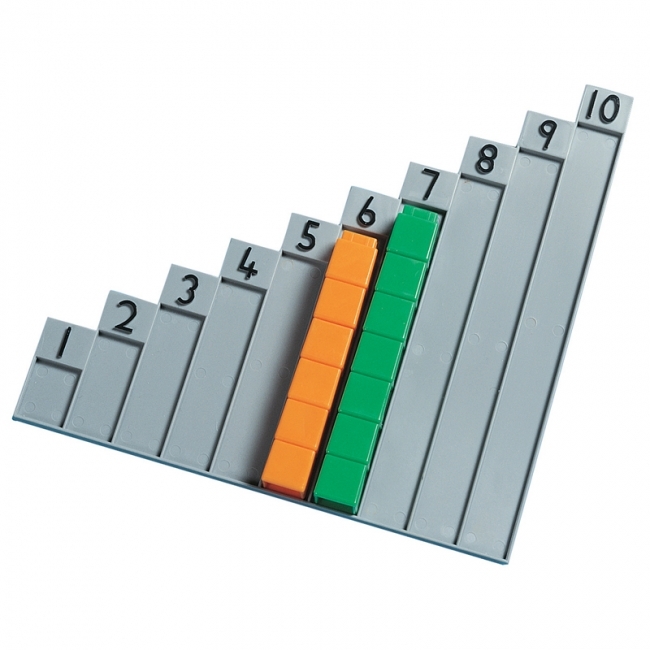 The Unifix 1-120 Number Line is an excellent visual aid for counting, measurement, and addition. 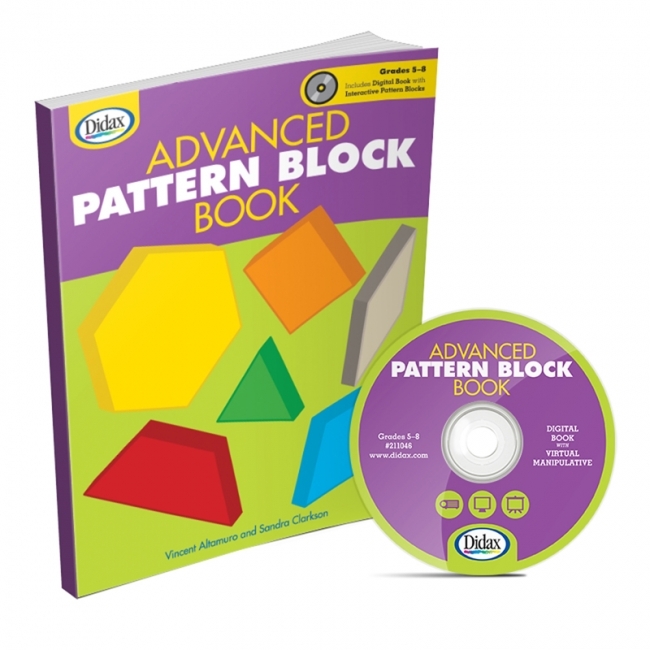 Includes teaching notes. 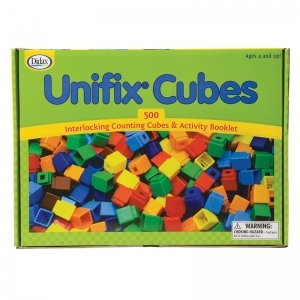 Unifix Cubes sold separately. 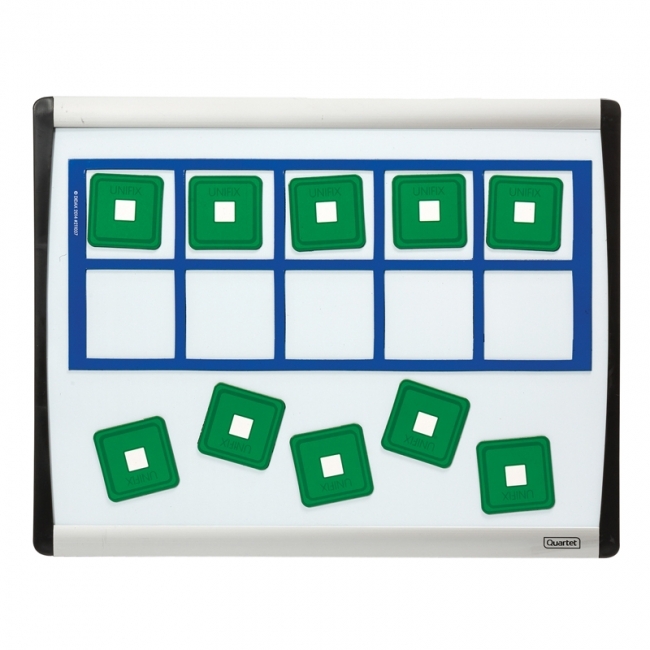 These mats can be used with or without Unifix cubes to help students understand number concepts and experiment with basic operations. One side features a 1-10 stair for counting or simple operations. On the other side students start with loose cubes and build a rod. 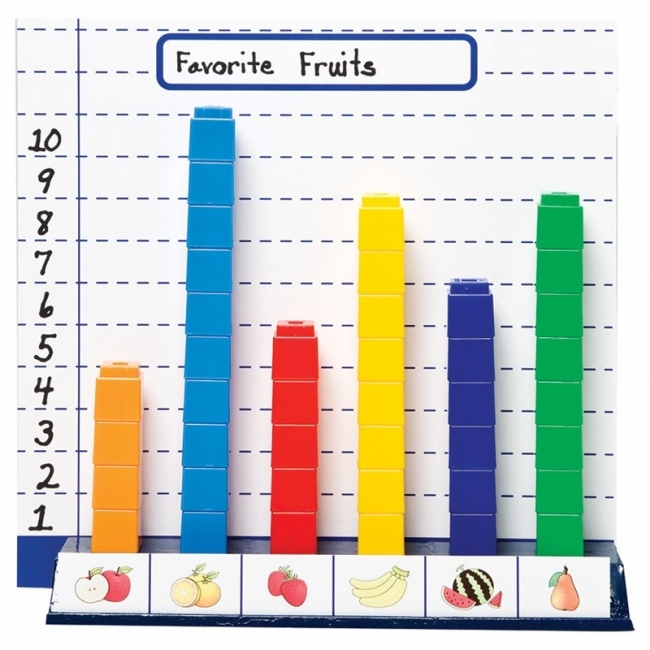 Mats (9" x 12") are heavy vinyl and ideal for use with erasable markers. Grades K-1. Use this versatile tool and Unifix Cubes to model and understand number concepts, base ten, and operations through 100. Comprehensive teacher's guide includes illustrated activities for number relationships, addition, subtraction, multiplication, and division. Base is 3" x 9" with 10 positions, and includes 22 number label cards (10s, 20s, 30s, 40s, 50s) and 100-grid card to position behind stacks of cubes. 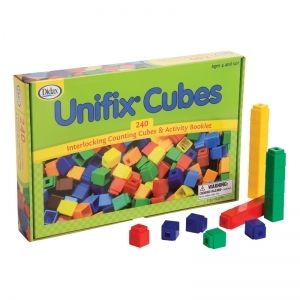 Unifix Cubes are sold separately. Unifix Cubes are perfect for teaching young learners patterns, numeration, operations, place value and early fractions. This package includes 500 cubes in 10 standard colors. Colors include red, dark blue, light blue, yellow, green, orange, maroon, brown, black and white. This is a great set for small groups of students to explore the world of Unifix Cubes, the industry's Gold Standard in math manipulatives. Students develop a concrete understanding of the concept of ten and patterning with these connecting train cars, each holding 10 Unifix Cubes. 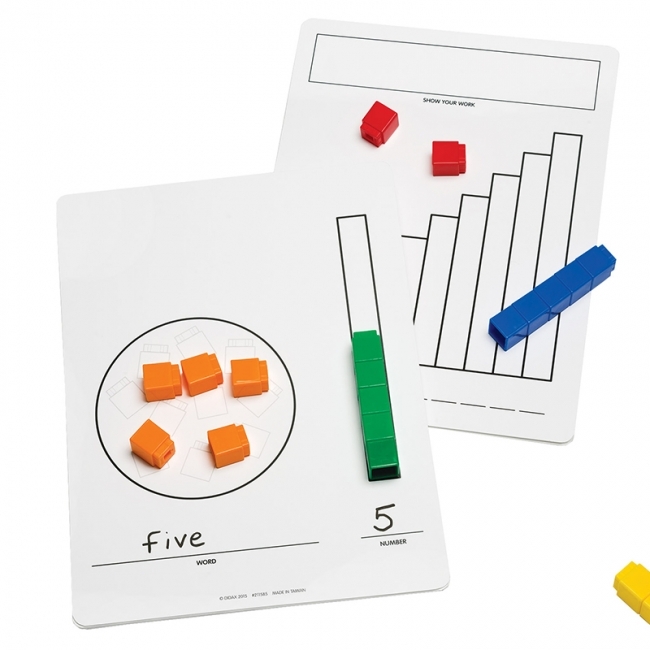 By filling the spaces and connecting the cars, children can see and feel "10 and some more," 20, 30, etc. 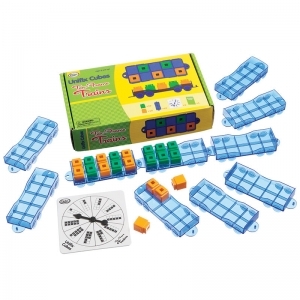 These trains are also very good for use with Singapore Math activities. 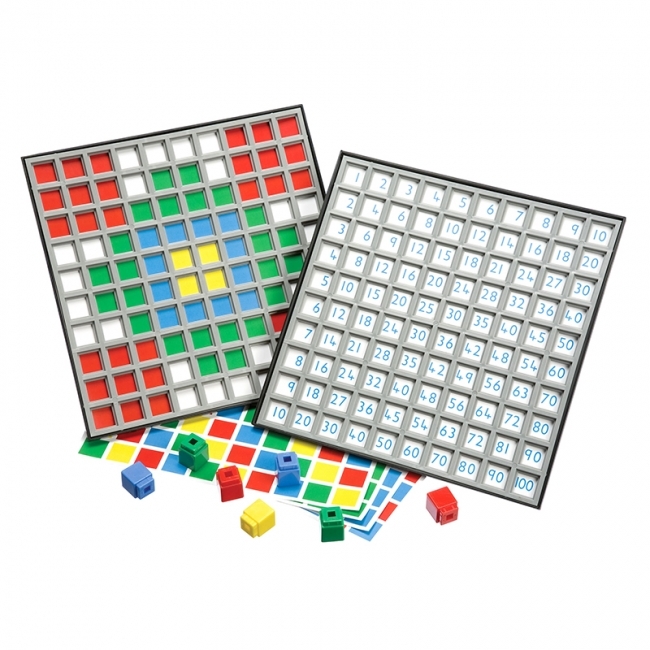 Includes ten cars, ten-frame spinner, 20 Unifix Cubes, and teacher's guide with games, teaching ideas, and assessment instructions. 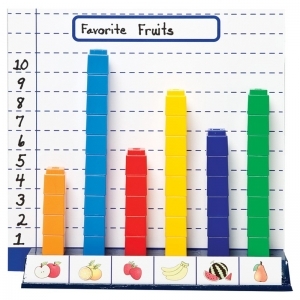 For individual or small group use.